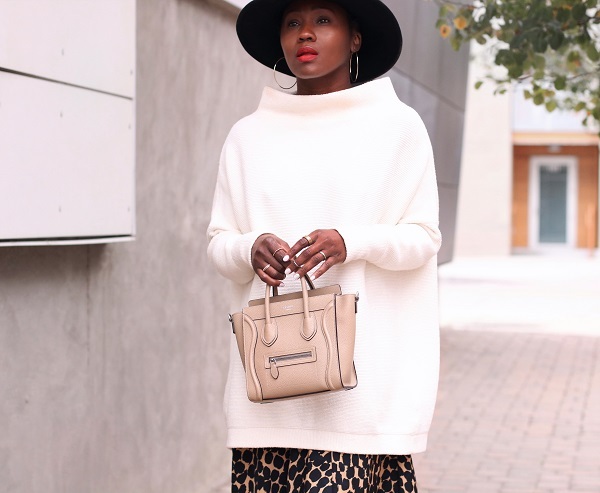 As we get further into the fall season, sweaters and layering seem inevitable. 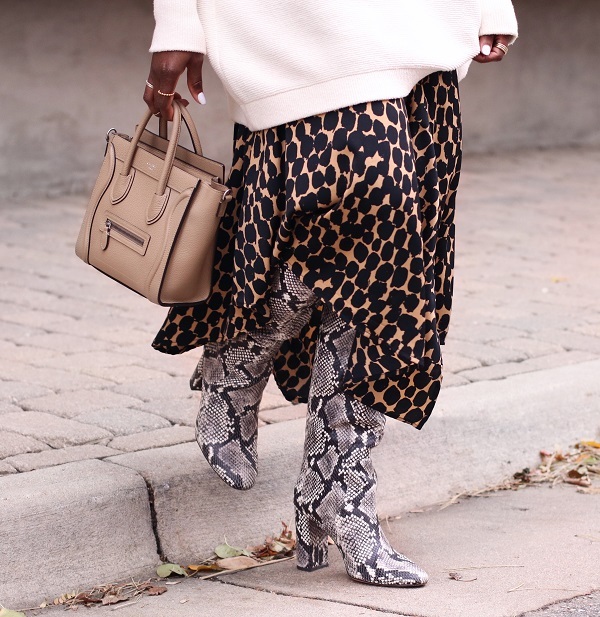 However stylish cool weather pieces are still a must, I actually find fall pieces to be the most fun, fall pieces comprise of many textures, rich hues and adventurous fabrics, yet there’s sometimes a struggle on how to style heavier fall pieces. 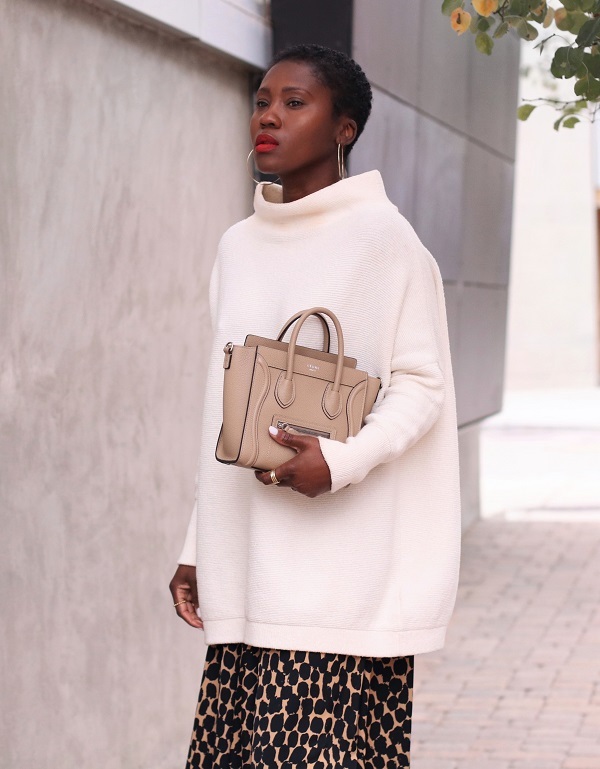 “How do I transition seamlessly from summer to the fall/winter season” is one question I have heard a time or two. 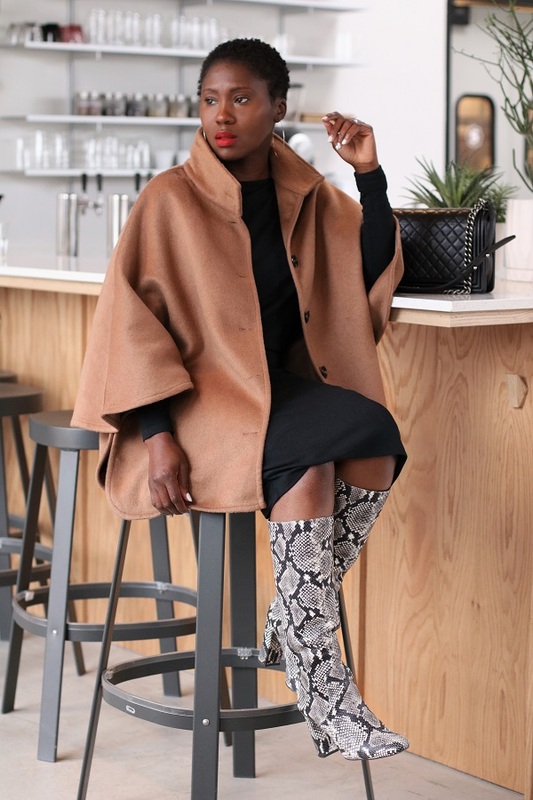 Keeping that in mind, I wanted to share a look rich in texture, volume… a look with a few dimensions to it. 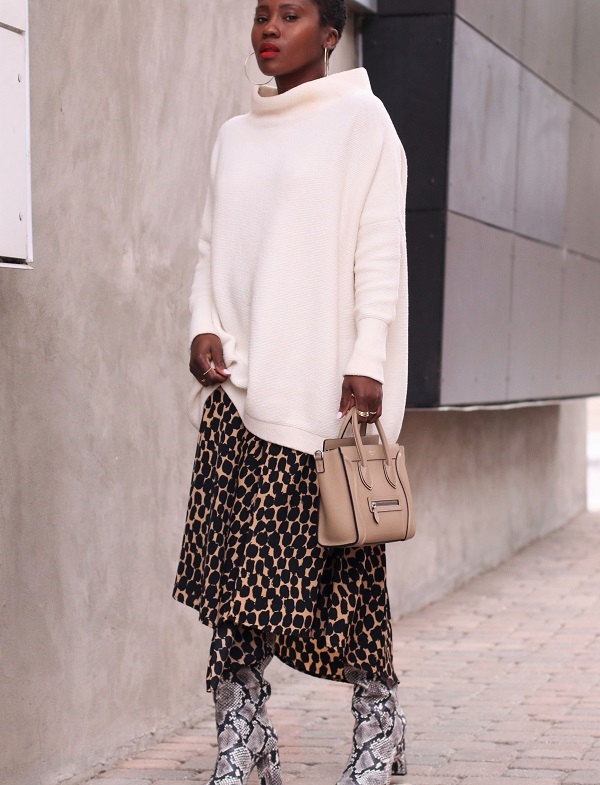 I recently discovered this slightly structured sweater and can’t seem to get enough; from the shape of the neckline to the oversized fit, it’s the perfect piece over a cami-dress, silk skirt or skinny jeans. 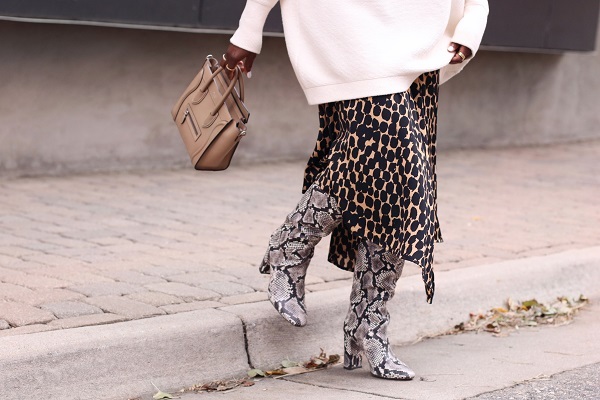 With this season’s animal print craze in mind, I opted to double up by mixing prints with leopard print skirt and faux snake skin boots. Let the official sweater weather season begin!